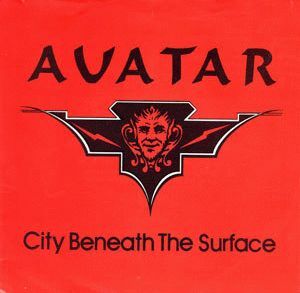 - The three songs included in this 7" EP were re-released after the band changed their name to Savatage: the a-side, "City Beneath the Surface", and the 2nd of the b-side, "The Whip", went on to the '85 The Dungeons Are Calling EP, while the b-side opener, "Sirens", became the title track of the first Savatage full-lengther in '83. - The very first 25 copies were printed on yellow vinyl and the remaining 975 were printed in black vinyl for a total amount of 1000 copies pressed. Yellow and black swirl vinyl also exists. - Approximately five test pressings were made with hand-written center labels. - Promo copies had white labels and were sent out without promo sleeves. - This original version's sleeve has rounded covers. - Recorded at Morrisound Recording, Tampa, FL.